According to a recently completed investigation by the North Carolina Board of Elections, a political operative working on behalf of Republican candidate Mark Harris carried out a “coordinated, unlawful, and substantially resourced absentee ballot scheme” that may have provided Harris with hundreds of fraudulent votes. The political operative paid friends and family members in cash to collect uncompleted absentee ballots, fill them out and then mail them in to the polls. During the investigation, Harris’ son testified that he had warned his father that the absentee ballot scheme was illegal. 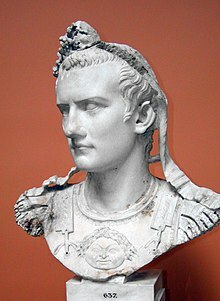 But Caligula (“Little Boots”) is generally agreed to have been a temperate ruler through the first six months of his reign. His excesses after that– cruelty, extravagance, sexual perversity– are “known” to us via sources increasingly called into question. Still, historians agree that Caligula did work hard to increase the unconstrained personal power of the emperor at the expense of the countervailing Principate; and he oversaw the construction of notoriously luxurious dwellings for himself.In 41 CE, members of the Roman Senate and of Caligula’s household attempted a coup to restore the Republic. They enlisted the Praetorian Guard, who killed Caligula– the first Roman Emperor to be assassinated (Julius Caesar was assassinated, but was Dictator, not Emperor). In the event, the Praetorians thwarted the Republican dream by appointing (and supporting) Caligula’s uncle Claudius the next Emperor.